To Talk is Treason. $13.65 plus $3.50 shipping. Includes tax. These writings in turn provided clues to other sources. Dutton descendants in New Jersey graciously shared period photographs of sisters Lizzie, Lida and Mollie, as well as additional details of their times. 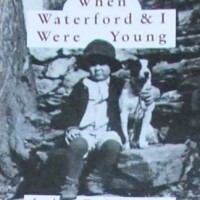 In the Waterford Foundation’s archives were copies of The Waterford News, an underground newspaper bravely published by young Union patriots Lida and Lizzie and their friend, Sarah Steer. Several essays written to commemorate the centennial of the war years in Waterford by John E. Divine provide the historical context for these personal accounts. What makes this narrative so compelling are Waterford’s remarkable Quakers vividly brought to life again in these pages. Thanks to Miss Steer and her family everyone can share in the turbulent past recorded by the pens of her ancestors. When disaster struck, these peaceful and capable people met the challenge without flinch or compromise. They remained steadfastly loyal to the Union in a hostile Confederate State but aided the hungry and wounded of both sides when they came through the village.